About my libraryI read all sorts of books, in a wide variety of genres. I also tend to ignore classics and 'highbrow' literature, with some notable exceptions. I've been reading in English since I was 16, so English books make the vast majority of my library. 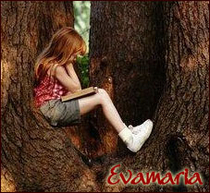 To see what I'm reading, ebooks and audiobooks included, visit me on http://evamaria.booklikes.com.